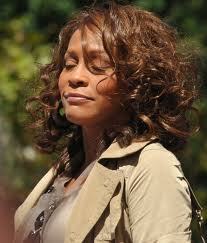 The cost of Whitney Houston’s funeral for residents of Newark, New Jersey was $187,000 in overtime for police officers. Many residents in the city are not pleased about having to foot the bill. Close to 200 police officers were on duty at the New Baptist Church the day of the funeral as well as at the local funeral home and another reunion of family and friends. The bill represents close to 5% of the annual $4 million budget for the police department. Members of the City council of Newark said it was necessary to have both barricades and police presence to maintain control of the crowds that were in the area surrounding the church and funeral home. Nevertheless, residents of the city are upset with the bill and are asking why the taxpayers must cover the cost for the protection if they were not allowed to participate in the funeral. Many say the bill should have been paid for by the Houston family and not the city of Newark. Several of the cable networks around the country covered the funeral of the late actress and singer. The funeral featured a number of tributes to Houston by stars such as Kevin Costner, who co-starred with Houston in The Bodyguard. Producers Tyler Perry and Clive Davis also gave uplifting eulogies of the late singer. Last week the coroner’s final report was released and ruled Houston’s death as an accident due to drowning. Narcotics that the coroner found in Houston’s system were said to have played a part in her death.